The IP box camera has a sens-up feature which enhances the digital slow shutter and features enhanced imaging capabilities with 2D+3D DNR (digital noise reduction) and WDR (wide dynamic range). The camera is equipped with dynamic profile streaming which enables you to create 3 main streams and 4 regions of interest for customized camera views..IP Box Camera integrates the superior Sony Exmor™ progressive scan CMOS sensor with support for a wide range of CS mount mega-pixel lenses. The IP Camera is capable of delivering multi-streaming, full HD 1080P real-time video. In addition to MJPEG real-time streaming, the camera’s superior H.264 codec smoothly delivers sustained HD video without distortion or frame loss. The camera also features WDR, 3D Noise Reduction, and is ONVIF compliant. 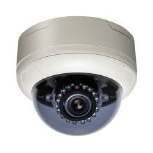 IP Dome Cameras are network cameras that are dome-like in shape. Dome Cameras, exactly like they might sound, have a spherical shape and hang from the ceiling.IP Dome Camera comes with a high performance DSP, a 1/3 inch CMOS image sensor and in fixed lens & vari focal lence models.IP Doe cameras are available in Full HD 1080 P, 1 MP, 1.3 MP, 2 MP, 3MP, & 5MP Models. 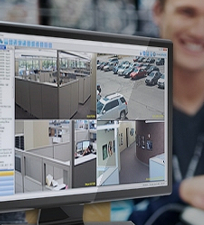 Imagine a situation where you needed to turn your surveillance video over to the authorities. You would want them to have as much detail as possible.The higher the megapixel the better in these situations and with a 2048H x 1536V (3MP) you can be sure that your recordings will be far greater than any analog camera. 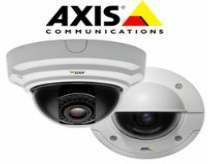 With ONVIF Compliant Dome Cameras you can Enjoy greater compatibility with more storage devices. ONVIF (Open Network Video Interface Forum) specifications for IP-based security products ONVIF defines a common protocol for the exchange of information between different network video devices from different manufacturers, to allow greater interoperability in multi-vendor network video systems. A network IP PTZ camera gives the users the ability to monitor large areas using pan/tilt/zoom functionality. Most PTZ cameras offer both manual and automatic PTZ operation along with optical zoom for zeroing in on specific individuals or objects. Some cameras are just pan/tilt, with no optical zoom. 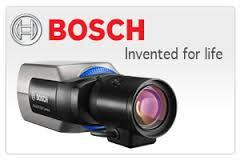 There are also specialty cameras that just zoom in on a fixed location. Pan/Tilt/Zoom (PTZ) dome cameras have become the most popular choice for applications that require the ability to position and zoom the camera to a specific area of interest. We do have a comprehensive line of PTZ IP PTZ domes with models to fit a wide variety of applications. 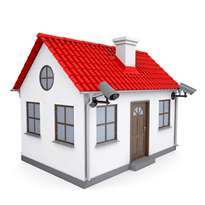 Bullet cameras are a great addition to any surveillance system. They are small and easy to install. An IP bullet camera delivers clear, detailed images and recordings so you do not have to worry about trying to decipher what you are looking at through a fuzzy screen or dark shadows. Bullet cameras offer many advantages that other styles of security cameras.The outdoor surveillance camera features digital wide dynamic range (D-WDR) and true day/night (ICR) for sharp detailed images in both day and night. The integrated smart IR array enables the camera to see up to 65' in the dark without washing out the subject at close range .The IP66 weather-rated enclosure IP CCTV offers protection from particles such as dust and sand, along with various weather conditions, including rain and snow.